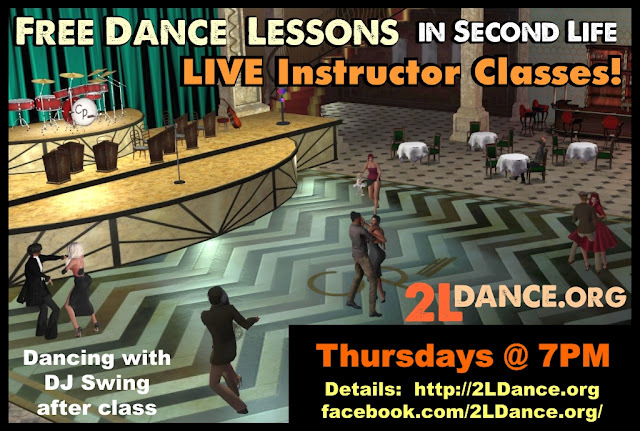 Simple new schedule for LIVE instructor classes on LEA1: Thursdays at 7PM, on the Main Floor of our 1940's Dance Hall, CP Swing. Come learn more about how to have fun dancing in SL, meet new friends, and dance with them! Dance after class with the best in modern and vintage swing tunes with DJ Swing.